JAN: Okay guys, here's some of the dresses we were talking about yesterday. 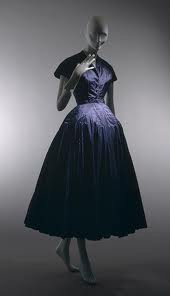 Above, the New Look by Dior 1947. 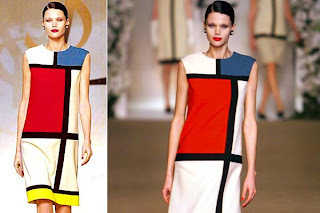 Below, the Black Pleated Chiffon dress, also called the "revenge dress" worn by Princess Diana, designed by Stambolian, the the LED dress by Chalayan in 2007. the Mondrian dress by St. Laurent in 1965. 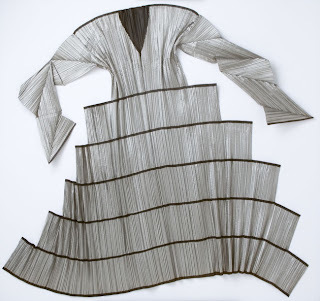 The Krystle Carrington dress by Nolan Miller in 1985 (on Barbie, just for fun), the Pleats Please dress by Issey Miyake in 1993 and the Delphos pleated dress that rocked the world in 1915. The Modrian dress!!! HOw could I forget. 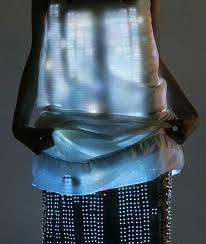 And yes, the revenge dress. Terrific. And very poignant, huh? Yes, My mother had a version of that dress, maybe we all did. 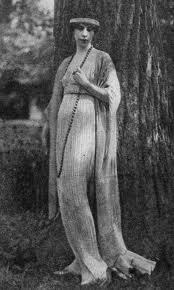 I recently saw a well-costumed production of The Music Man, and I realized how unique and really, how flattering the pre-WWI silhouette ushered in by the Delphos dress was. Fitted enough to show off the upper body but very, shall we say, forgiving at the waist and hips. Unlike other dress lines, it's never been revived. Maybe it's time for a come-back! Sisters in Crime: Celebrating 25 Years! Is it a crime...to read and write crime fiction?